This week, getting a little intimidated by the volume of Superman tracks ahead, I'm skating around the edge with Keeps Gettin' Better. A track by Christina Aguilera, featuring DC's very own Maid of Might. 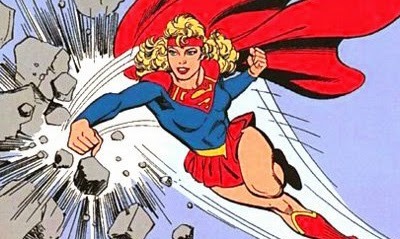 "Next day I'm your Supergirl, out to save the world - and it keeps getting better"